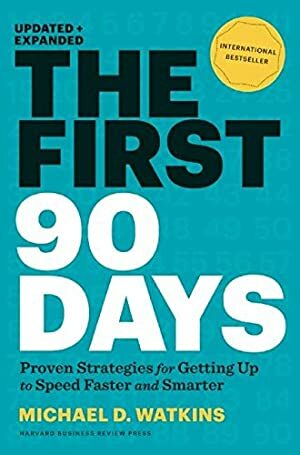 In this updated and expanded version of the international bestseller The First 90 Days, Michael D. Watkins offers proven strategies for conquering the challenges of transitionsno matter where you are in your career. Watkins, a noted expert on leadership transitions and adviser to senior leaders in all types of organizations, also addresses today's increasingly demanding professional landscape, where managers face not only more frequent transitions but also steeper expectations once they step into their new jobs. Log In to track Michael Watkins on eReaderIQ. to be notified each time the price drops on any book by Michael Watkins. to stop tracking Michael Watkins. We started tracking this book on July 15, 2013. The price of this book has changed 301 times in the past 2,107 days. The current price of this book is $14.22 last checked 23 hours ago. The lowest price to date was $2.99 last reached on July 19, 2013. The highest price to date was $17.49 last reached on May 17, 2018. This book has been $17.49 8 times since we started tracking it. We last verified the price of this book about 23 hours ago. At that time, the price was $14.22. This price is subject to change. The price displayed on the Amazon.com website at the time of purchase is the price you will pay for this book. Please confirm the price before making any purchases.